California Foreign Language Project Policy Board. He frequently is asked to conduct inservice workshops for schools and universities across the country. Fabi?n's first-year college text, ?D?melo t?! 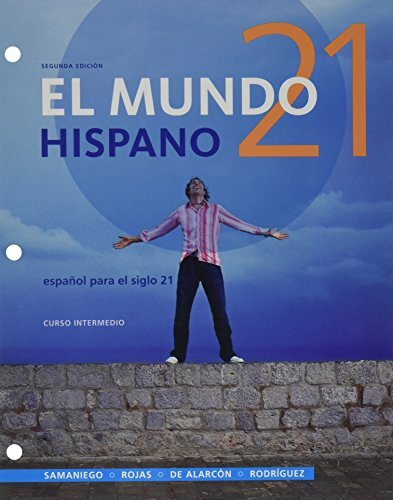 is in its fifth edition and he is currently working on a third edition of his second year college text, Mundo 21. He is a co-author of Language and Culture in Learning: Teaching Spanish to Native Speakers of Spanish and of ?DIME!, a seven-book school series which includes a two-year native Spanish Speaker's program: Tu mundo and Nuestro mundo.